This homemade Bisquick alternative is healthier than the bought stuff and literally takes minutes to mix up. Plus it tastes so much better too! If you are like me and looking for ways to eat healthier and save at the same time, then you’ll love this copycat “Bisquick” mix! It takes just minutes to make, is cheaper than buying the Bisquick brand and it doesn’t have any ingredients that you don’t recognize or can’t pronounce. On top of all that, we actually like the things I make with this homemade mix better than when I made them with the Bisquick brand! Definitely a win all around! Two of my favorite recipes using this homemade Bisquick: Deep Dish Taco Squares and Crustless Zucchini Quiche. Store in refrigerator** and use as you would Bisquick. ** If you don’t use butter or margarine for this recipe, but instead use vegetable shortening, you could store at room temperature. My husband is gluten intolerant so I have had to find alternatives to regular recipes or tweak them to make them GF. I have successfully made homemade baking mix using a GF flour mix I buy. (www.meistersgf.com) The only alteration I made to the recipe was to add 1 1/2 times the amount of baking powder. (As per Meister’s suggestion for regular use of this flour mixture.) I hope this helps someone on a GF diet. Oh no, I'm sorry Dee! That had to be disappointing. Did you make it with butter? If so, then it has to be kept refrigerated. If you make it with shortening (Crisco) though, I would think it should be okay in the pantry since that is how you store shortening. This is a great recipe. However, i was wondering if i could use coconut oil instead of butter or shortening? I have substituted C.O. in place of shortening for tons of recipes when baking. I am hoping it will work the same and be able to be unrefrigerated. What are your thoughts? Sara, I had a reader that tried it with coconut oil several years ago and said she didn't care for it that way because the coconut flavor was just too strong. I know that brands of coconut oil vary a lot though, and I don't know what brand she used. 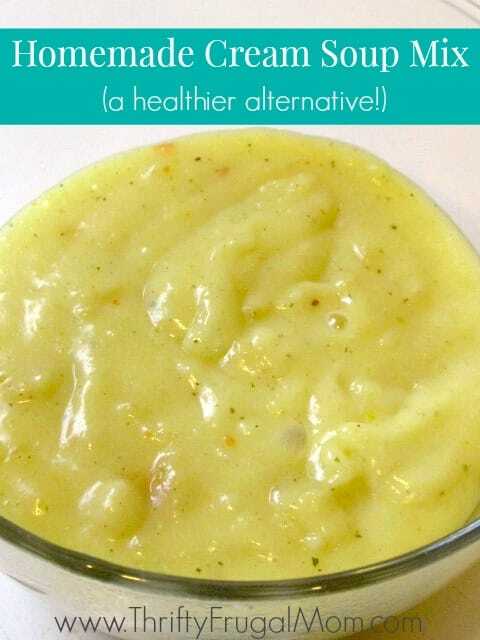 You could always try it with half butter, half coconut oil and see how that tastes and then go from there. If you do try it with the coconut oil, I'd love to know how it worked for you so that I can let other's know. I think the coconut taste depends on the brand you use. I use coconut oil a lot in place of butter/margarine (though not usually in baking) and it doesn't taste anything like coconut. It pretty much tastes like margarine, actually. But it's also advertised *not* to taste like coconut. I can't remember what brand it is.... I would also be interested in knowing how that turns out for you, Sara! Yes, I also use a coconut oil that is extra virgin and doesn't have a strong coconut flavor. But I'm not sure how it would work in something like this because you can still slightly taste the coconut. I tried with a popular coconut oil. It was great for a short while then it developed a soapy taste. My daughter tried with a more expensive brand of coconut oil and had the same results. We believe that the preparation causes the oil to become rancid. Thanks for letting me and other readers know how the coconut oil worked, Nan. I really appreciate it! I am curious though, did you keep it in the fridge or at room temp. Just wondering because I know with butter that if you melt it, it will spoil very quickly at room temp, whereas if it's not melted and left as is, it will actually stay okay at room temp for a long time. So maybe coconut oil is the same way? Just a thought. I've never heard of a recipe that puts butter in with the dry ingredients! Might be giving this a try so I don't have to pull out 100 different containers every time I want to make pancakes! Yeah, the whole point of doing that is to save time and keep things simple. I love having it all mixed up and being able to just pull out the container and make my recipes. So easy! Chelsey, because then it wouldn't be "Bisquick"! :) I think adding the butter later would defeat the whole point because then you'd have to mix up the stuff each time plus figure out how much butter to actually use for the amount you need etc. 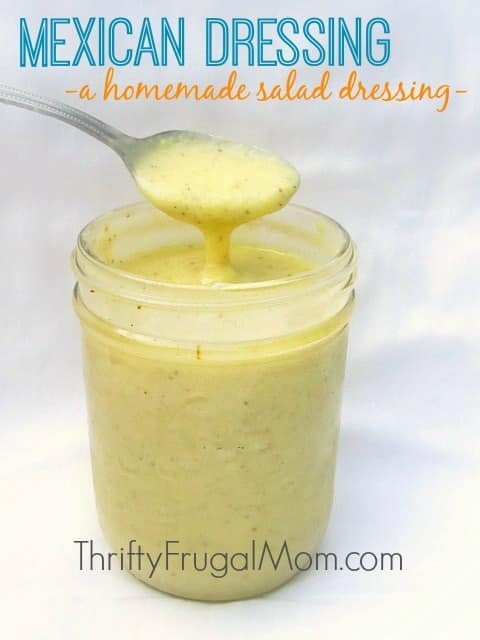 By mixing it all together like this, you can use this mix in place of Bisquick in your favorite recipes and it makes it super easy and healthier too! This is s great idea. 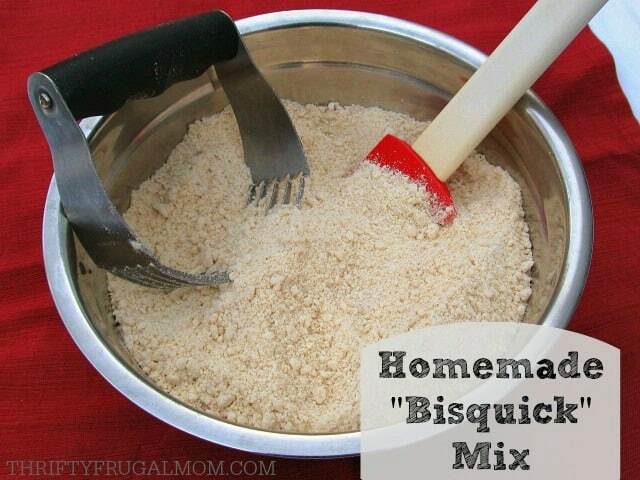 I always wondered if I could make my own Bisquick. I will probably try the half coconut oil and half crisco. Thanks. Oh, the half coconut oil, half Crisco is a good idea! If you think about it, let me know how it turns out. Ok, this is probably annoying, but could you tell me your "recipe" for making pancakes and biscuits out of this mix? I'm living in India right now and don't have access to a box of Bisquick, so I'm excited about making this! I'm also excited to try your taco squares recipe that uses this recipe! Not annoying at all, Tracy! But the problem is, I have never actually used it to make pancakes or biscuits since I just make them from scratch. (Not totally sure why though, when this mix would make it a bit faster to make, especially for the biscuits.) I'm going to go grocery shopping later this week and I'll try to remember to take a look at the Bisquick there and let you know what the box says. Okay, so I finally remembered to look at a box of Bisquick when I was at the store, and this is what it said: PANCAKES: 2 c. mix 1 c. milk 2 eggs Mix together (try not to overmix for fluffier pancakes). Makes 14 pancakes BISCUITS: 2 1/4 c. mix 2/3 c. milk Combine and drop by spoonfuls onto ungreased cookie sheet. Bake at 450 degrees for 8 to 10 min. Makes 9 biscuits. Hope that helps! I don't know that cutting back on the salt would be a problem, other than it might affect the taste. But if you are used to not having much salt you might not even think about it. You could try doing 1/2 or 3/4 tsp and see how that tastes. Just a thought though...1 tsp of salt really isn't a lot for as much as this recipe makes, so it's kind of low salt already.